Established in 1984, e.Republic is the nation’s only media and research company focused exclusively on state and local government. Led by Dennis McKenna, media entrepreneur and co-founder, our award-winning publications, websites, more than 150 annual events and highly respected research operations are acknowledged as setting the gold standard in their respective fields. Our work has been cited in The New York Times, Wall Street Journal, Forbes, Time, The Washington Post and USA Today. In 1985, McKenna launched California County magazine in partnership with the California State Association of Counties. Early to recognize the impact new digital technologies would have on the public sector, in 1987 Dennis launched Government Technology, the first national magazine covering information technology in state and local government. Seeing the need for stronger analysis and research to support public sector innovation, e.Republic launched the Center for Digital Government and Center for Digital Education—the first-of-their-kind research and business intelligence advisory institutes focused exclusively on state and local government and education. The Centers are home to the widely cited Digital States Survey and Digital Government Navigator, a subscription-based market intelligence tool for companies targeting public sector business. In 2009, e.Republic acquired Governing from Congressional Quarterly. 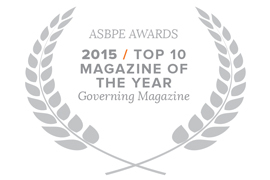 Governing covers politics, policy and management for state and local government leaders. 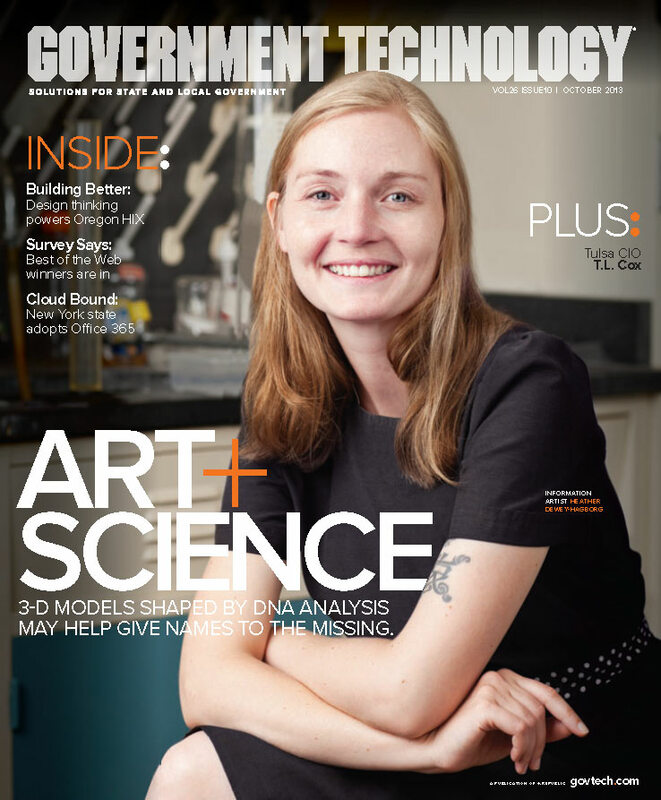 Recognized as the most credible and authoritative voice in its field, Governing provides non-partisan news, insight and analysis on budget and finance; transportation and infrastructure; workforce and economic development; health and human services and more. Its highly respected Public Officials of the Year program is in its 22nd year. Headed by former Kansas City Mayor Mark Funkhouser, Governing has grown with an expanded online presence, broad national events portfolio and launch of the Governing Institute. In 2014 the Institute launched its Women in Government Leadership Program, a special initiative which encourages future generations of women in public service. Also in 2014, e.Republic launched two other new initiatives, e.Republic Labs and e.Republic Ventures. Designed to link state and local government to a new generation of innovative civic-tech solutions, e.Republic Labs serves as a catalyst and connector for the development, deployment and scalability of a new generation of government and civic technologies. e.Republic Ventures provides mentorship and capital for a select number of early stage companies to accelerate their entry into the public sector market. e.Republic also acquired the regional tech business website Techwire in 2014 and relaunched it as a subscription based news and business intelligence service focused on the nexus of technology and government policy in California. In 2016, Government Technology launched GovTech100, a listing of the leading 100 companies focused on, making a difference in, and selling to state and local government agencies across the United States. With nearly 200 employees in California, Washington, D.C. and throughout the United States, e.Republic is a unique company redefining the role of media at the intersection of innovation and public service. e.Republic has been an active partner in the community for over 25 years, participating in efforts which encourage civic and social responsibility, leadership, diversity, tolerance and civil and human rights. Sacramento Theatre Company's "The Firehouse Ball"
Japanese American Citizens League (JACL)"Strength Through Unity"
Junior Achievement of Sacramento "Crazy Bowl"
Folsom-Cordova Unified School District's "Principal for a Day"
Center for Digital Education announces a commitment to supporting the Department of Education #GoOpen initiative. Corruption in Albany – How did it get this way? The Center for Digital Education is a national research and advisory institute specializing in K-12 and higher education technology trends, policy and funding. Riverside County's New IT Chief Headed Over From L.A.
How Healthy Is Maryland's State Pension System? Will tougher reporting help fix N.J., Pa. pensions? Study: Portland fastest gentrifying city in U.S. Episode #62: House of Cards Confessions, Runoff for Rahm? Can anyone stop Atlanta's rapid gentrification? Has Gentrification Run Amok in 'City On the Ascent'? Is Detroit Open for Business? We’re #1! Los Angeles Tops New Survey on “Digital Cities"
Republicans now have historic majorities in state legislatures. That's a really big deal. Will Oregon Be The Next State To Worsen College Affordability? Think more competitive midterms would help? They’d actually make things worse. Magazine Rates AG's Race a "Toss-up"
President Kasich? First the Ohio governor must win re-election. Then he needs to go to Iowa. Would Arkansas Have Saved Six Californias? Should Cities Be in the Business of Issuing Debit Cards? National Magazine Lists "10 People Who Could Help Save Detroit"
Michigan Scores an "A" for Being a "Top Digital State"
In the Wake of Hurricane Issac, Is Your Family Prepared for a Disaster? Is city tap water better than bottled water? Are Public Unions Demanding Unsustainable Benefits? State Gains Would Give Redistricting Edge to G.O.P. e.Republic magazines and websites are recognized as leaders in their field, winning over 100 editorial and design awards in the last ten years, including two Magazine of the Year awards, multiple best Trade and best Government Coverage awards and the prestigious Neal Award. The ASBPE’s (American Society of Business Publication Editors) recognize the best in editorial, design, and online achievement at both the national and regional levels. 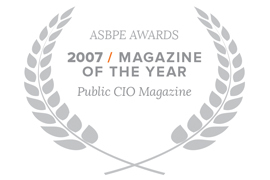 In 2013 Emergency Management Magazine took “Magazine of the Year” honors following Public CIO’s win in 2007 as “Magazine of the Year”. Presented by the Western Publishing Association, the Maggie awards honor excellence in print and electronic publishing and are considered the most prestigious publishing awards in the Western United States. 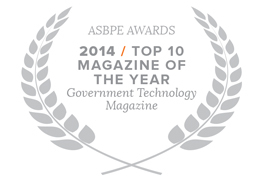 Government Technology, Emergency Management and Public CIO magazines have each won five or more “Best Trade” awards. 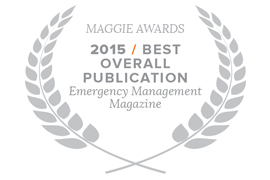 In 2015 Emergency Management took two of the Maggie’s highest honors - Best Overall Publication/Trade and Best Web Publication/Trade as well as the Special Interest/Trade award. Known as the “Pulitzer Prize of the business media” The Jesse H. Neal Awards are the industry’s most prestigious and sought-after editorial honors. Established in 1955 the Neal awards recognize and reward editorial excellence in business media publications. In 2011, GOVERNING won for “Best Single Article”, and in 2018 GOVERNING won for "Best Profile". FOLIO:’s Eddie and Ozzie awards competition is the largest of its kind for magazine publishers. Open to all magazines and websites, the Awards span print and digital, with the Eddies honoring the best in editorial and the Ozzies the best in design. Governing, Government Technology, Emergency Management and Public CIO magazines have all won Eddies for “Editorial Excellence”. "What is the Age of Responsibility?" Gold - "Cerf on the Net"
Dennis is CEO and co-founder of e.Republic. Established in 1984, it is the leading media company focused on state and local government and education. Dennis oversees strategy and business development for the firm and is responsible for its market-leading print and digital publishing, business intelligence and integrated media. 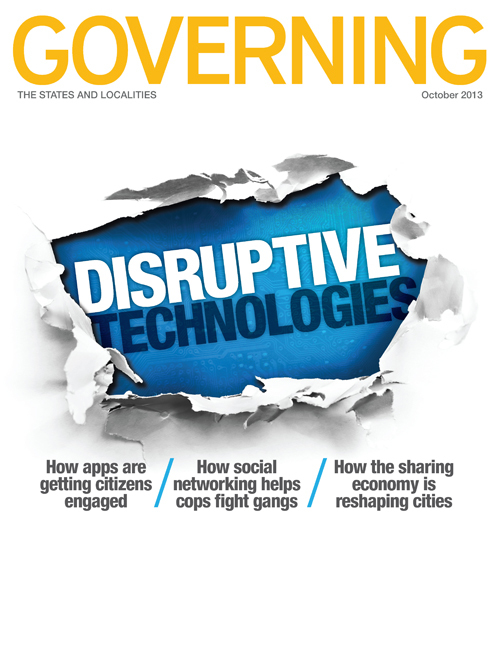 Government Technology is the national magazine of record covering solutions for state and local government in the information age. 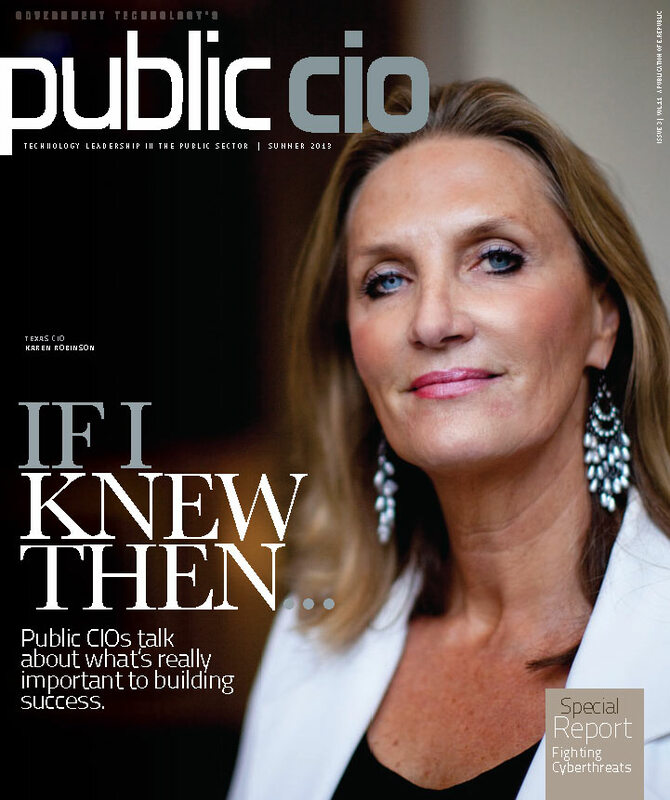 Award-winning Public CIO magazine is the premier publication for C-level technology executives across all levels of government and education. 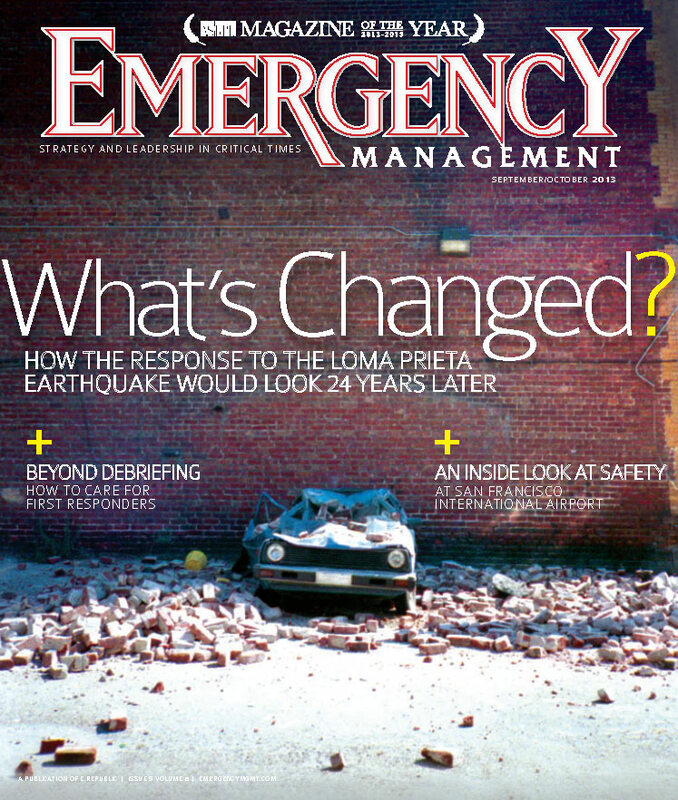 Emergency Management magazine is the award-winning, all-hazards publication of record for emergency management, public safety and homeland security stakeholders. Released quarterly, Converge Special Reports tackle crucial issues facing K-12 and higher education, and provide a comprehensive, in-depth analysis of each subject. Every Converge Special Report is accompanied by a Special Release Education Funding Report, giving an overall snapshot of the current funding and budget landscape.